When we arrived at the Hilton hotel after a short taxi drive we directly went up to the rooftop where we were guests in the wonderful Galaxy Restaurant. The first impression was so amazing and exhausting. The golden light flooded the city in a wonderful light and the perfect view. 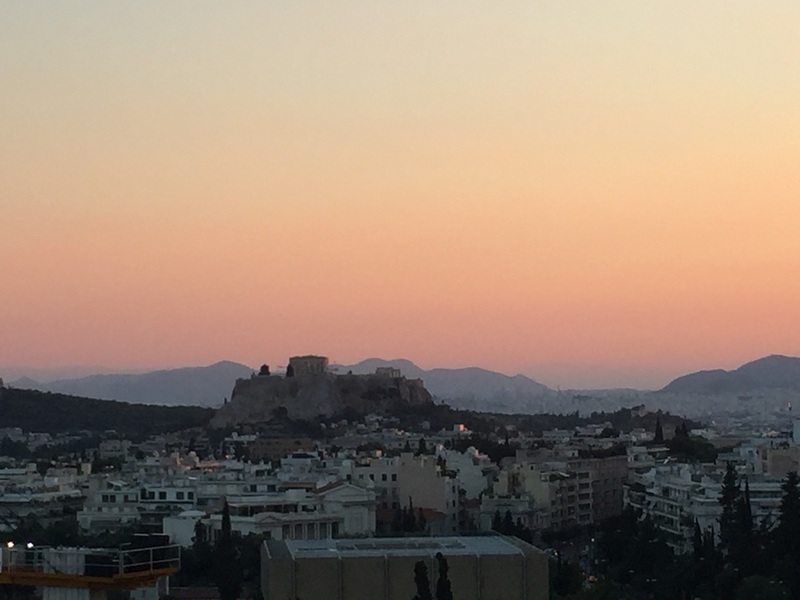 Clearly we were facinated from the impressive acropolis. As we were in the capital of Greece I had to try a Greek salad with fresh feta cheese. 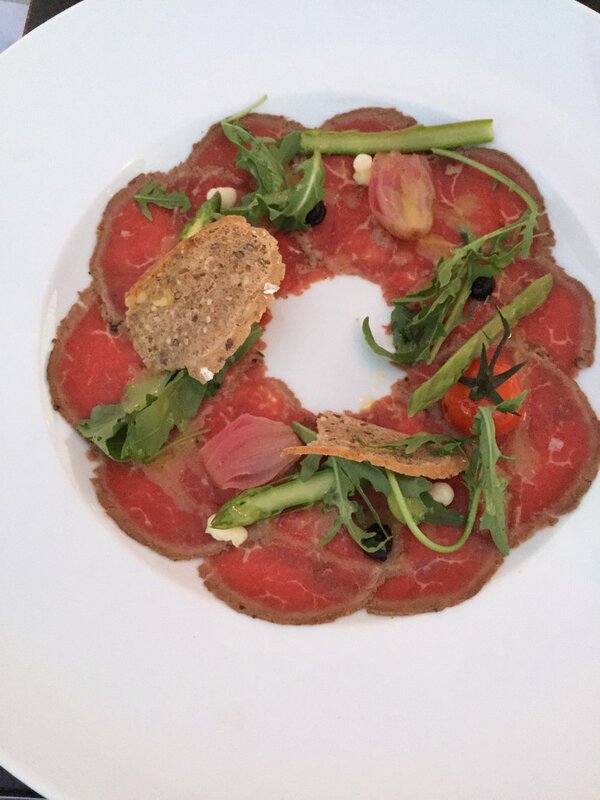 And my colleague tried the beaf carpccio which was amazing! The second course was a truffeled risotto with mushrooms which was very good and spaghetti with fresh seafood. The seafood was perfect cooked but the spghetti, because we were in Rome before, didn't meet our expectations. As a main course we were served a burger with french fries. After this wonderful dinner we could enjoy the view with a cocktail at the amazing rooftop Bar. 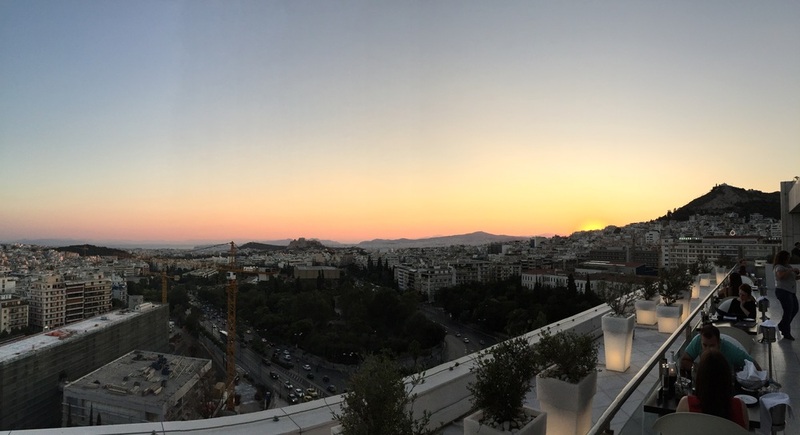 We were guests of the Hilton Hotel Athens and our above written review has not been influenced.